One month in China was definitely not enough. The time passed way too quickly. Everyday we wanted to see more, to climb more mountains, to learn more words, to try more foods, to meet more people. But unfortunately the sticker in our passport allowed us to stay only for 30 days, and even though they weren’t too many, they were enough to fall in love with this country, to learn that its unfair reputation as a poor and dangerous country is undeserved, and to promise ourselves to return and continue enjoying this beautiful place. 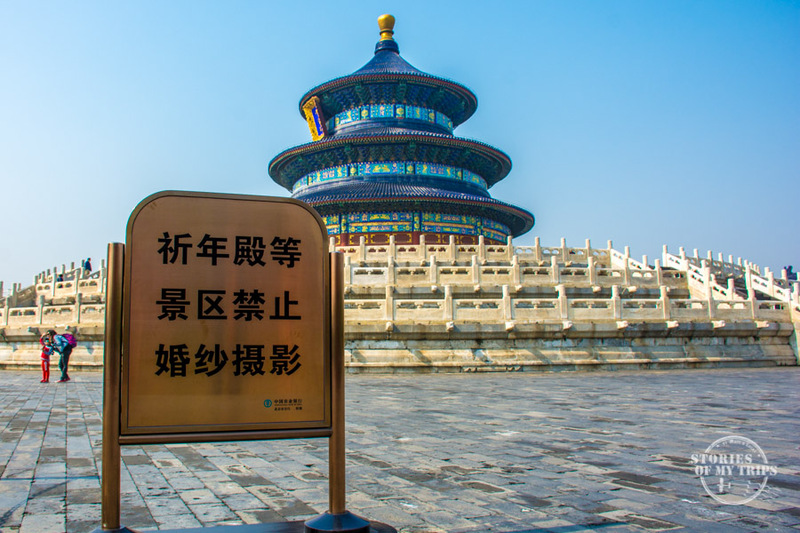 We first arrived in Beijing and we were planning to stay there only for 4 days, but we ended up staying a week. 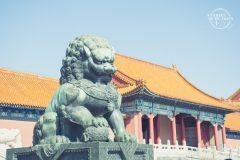 We were captivated by its history, its monuments, its temples and palaces, its Great Wall, its people, its food, its rhythm, its hutongs… we loved everything there. Shanghai was a mandatory stop. 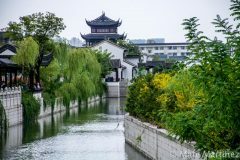 I wanted to visit the city where the book I was reading took place in: “Journey in Tears” which is the story of a Chinese girl living in Shanghai during the Mao’s era and his cultural revolution. This city is surprising, its big buildings are impressive, and it’s full of contrasts. It opened my eyes and made me realize that the East is much more than what we think it is in our part of the world. 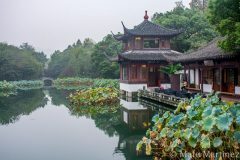 Suzhou was an attempt to escape the craziness of Shanghai. A beautiful city with an old town full of canals and gardens. It is known as the “Venice of the East”. We weren’t really able to escape the crowds, as it seemed that one million of Chinese had the same idea of spending the weekend there (our mistake). Anyway, it wasn’t very hard to leave the busy center and find peace and quiet in a more authentic neighborhood. 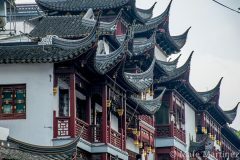 Hangzhou is the city of Chinese love stories. They say that girls grow up reading romantic stories taking place in the East lake, the main attraction of the city. And even though we had bad luck with the weather, it was easy to see why so many writers and poets are struck by inspiration in this place. 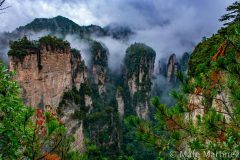 Zhangjiajie – Wulingyuan, a part of the world that seems from another world. Apparently James Cameron thought the same, since this is the place were the images for his movie Avatar were taken from. But more important than that, this is a place that takes your breath away, with its strange floating mountains and mysterious mist. The ticket you buy is good for 4 days, and you need them all in order to really absorb the beauty of this place. 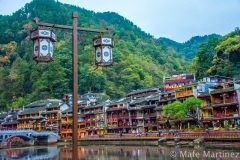 Fenghuang, the strong smelling city. We went to this city driven by curiosity. Nobody talked to us about it, nobody has made it famous, but just seeing one picture of it by chance, we knew we had to go. It maintains its antique and original unique style, with its wooden houses built on stilts, its chickens and fishes waiting alive in restaurants, and absolutely nobody that could speak any English. We were the only westerns during our stay and we loved every second of it. Guilin was the place I wanted to go the most. 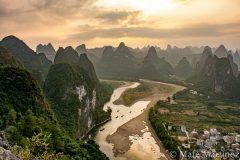 Every time I thought about China I had mental images of how I imagined China to be: karst mountains and rivers flowing through them. And this is exactly what we were hoping to find in Guilin. 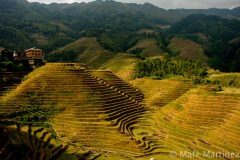 Even though we made the mistake of arriving in the main city, we were still able to visit other places, like the Longji rice terraces. Xingping was our favorite place in China! Here is where we found the scenery we were looking for, the most beautiful karst mountains, the quietest city, the nicest people. We met people here that we will never forget. This is a place that nobody recommended to us but that I found by chance, and I am very happy I did. 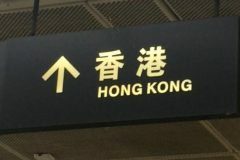 The easiest way out of mainland China, was to take a train from the Yangshuo train station (which is actually closer to Xingping) to Guangzhou, transfer to another train to Shenzhen and cross the border to Hong Kong by foot. 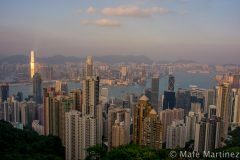 Hong Kong, a very different world. A part of China that is the opposite of China.